The world has been eagerly awaiting the announcement since Kate gave birth to her third child on Monday. 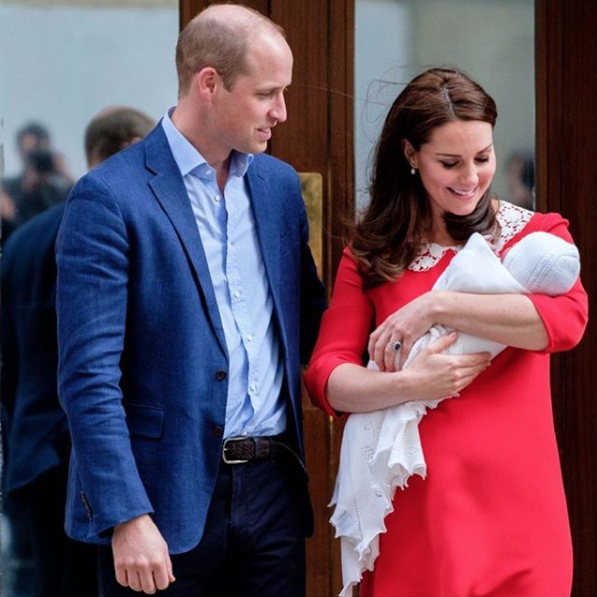 The little prince who was born weighing 8lb 7oz is fifth in line to the throne. Louis is the middle name of Prince Louis father Prince William, and his older brother Prince George. 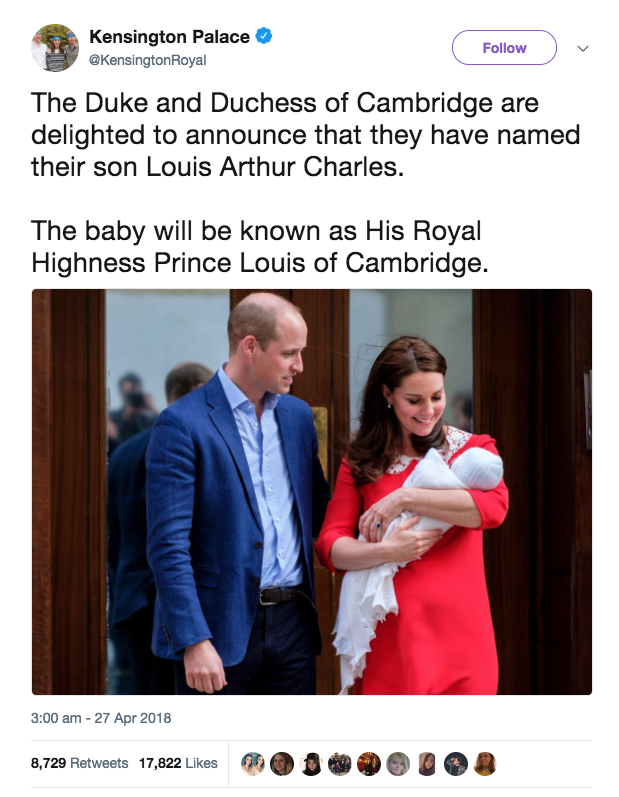 The baby’s middle name Arthur is also a middle name shared by his father The Duke of Cambridge and the Queen’s father King George VI. We don’t know about you, but we think the new prince’s name is adorable!